Durostone UTR consists of a fibreglass base reinforced with thermoset polyester resins. It is UL® recognised and the industry standard for flame and arc/track resistant electrical insulation. Manufactured to provide a combination of high strength, flame resistance and low smoke generation. Available in sheet form and a selection of channel, angle and tube sizes. Insulect has created a specification sheet for the Durostone UTR (GPO-3) Polyester Glass Laminate. The tables show the most commonly requested products in the range. Should you require something outside of these parameters, please contact our customer service team. 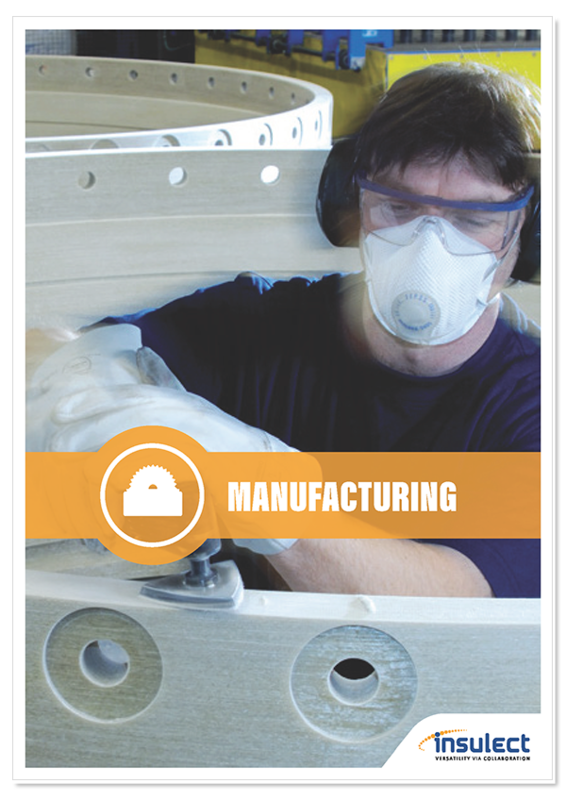 Insulect’s manufacturing capabilities form a key part of the trusted service we offer our customers. Our modern, well equipped facilities work with a wide range of electrical, thermal and mechanical materials – including plastics, composites and cellulose-based products.